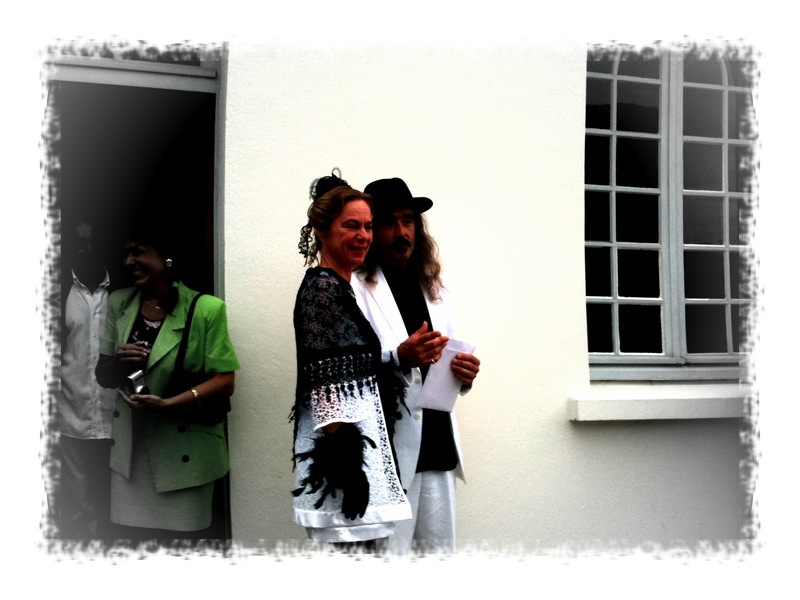 Richard and Vikki got married on Saturday. It is traditional, in that area of France, for the bride and groom to walk to the Mairie with the wedding cortege while pushing a pram. Richard and Vikki pushed a cart which carried a selection of music. Richard and Vikki’s wedding was sweet and emotional. Their love and appreciation of each other was evident and during the wedding toast there wasn’t a dry eye around the table. This is even more remarkable since these two bought and renovated, mostly by themselves, a house and stable about 18 months ago… and they’re still crazy about each other! Well done Richard and Vikki.